Dr. Berry grew up in the Pacific Northwest where he spent his childhood running and riding through the woods surrounding his home. 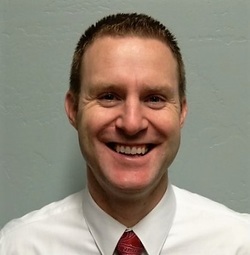 While studying at Brigham Young University he fell in love with Utah and was introduced to the field of Podiatry. After spending time with a local podiatrist, he knew he had found the perfect fit for his medical goals. He went on to attend Temple University School of Podiatric Medicine in Philadelphia. After medical school graduation, he completed a comprehensive surgical residency in Youngstown, Ohio, where he received training in all aspects of foot care and earned an advanced rear foot surgery certificate. He is board qualified in fore foot and rear foot surgery, including the ankle. Dr. Berry genuinely cares about each individual patient, spending time to build a relationship and finding the perfect course of treatment for each person. There is nothing he loves more than hearing that a patient is doing what they love to do without pain! Canyon Foot and Ankle is contracted with several insurance companies and also accept self-pay patients. accommodate appointments within 24 hours. We are dedicated to spending whatever time is necessary to resolve any concerns.